Sports Awards was established in Chicago, IL in 1949 and has been working with schools, park districts, leagues, associations and many more to provide Recognition, Award and Promotional Products. 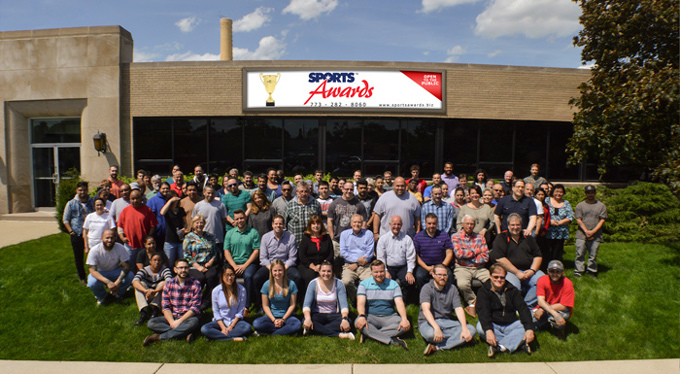 Sports Awards consists of a team of 100+ staff in a state of the art 50,000 square foot office and plant. We are committed to provide your award/recognition and promotional product needs in the most efficient manner possible. As innovators in the recognition industry, we have expanded our offerings to include designing, in house fabricating, as well as offshore manufacturing. This initiative allows us to provide prompt delivery, quality control and favorable pricing. We are uniquely situated in our industry as a manufacturer and importer to be able to provide unique budget minded awards and promotional products. Your products and service met our expectations. Everything was done very timely, so great doing business with you and Sports Awards. We absolutely will recommend your services and will be sure to reach out if we have additional awards to purchase." "I am very pleased with the trophies and medals. The kids were super excited to receive them. Thank you so much for getting them to me so quickly. I will definitely use your company again in the future. I want to thank YOU for being so wonderful and doing a wonderful job!!!" "The plaque was GREAT. It was for a volunteer Dad that has met with 4 kids each Wednesday all school year and on weekends the month leading up to the State competition - they won. First time Kenai Middle School has ever entered. Perfect timing - I have it all wrapped up to give to him tomorrow afternoon after the Borough math meet, then he is done for the school year. Anyway - I'm thrilled with the order and especially the customer service. Thank you very much! A++ "
"Once again, SportsAwards exceeds all expectations!!!!! I called in very late with my order (less than 7 days [before the deadline]) and you got the trophies done and sent to us in less than one week. WOW!!! Thank you, thank you, thank you - you guys do great work. The trophies looked great!"  "We received our order on time and the quality was first-rate! We were very impressed." "I was extremely pleased with the quality and price of my trophy order for my son's baseball team. It exceeded my expectations. " "Once again Sports Awards came through, delivering beautiful engraved trophies in plenty of time to be given at our School Awards Assembly. I always appreciate the ease with which an order can be placed- even one with specifics like name engraving, as well as the speed of delivery. I have a general theory when it comes to companies providing products and services, "good, cheap, fast- PICK TWO". It seems your company does a great job providing all three! " "Wow...I was super impressed with both the quality of the products and the service I received! The speed of the delivery was fast and perfect! The kids absolutely loved the awards! Overall, I give you eleven stars out of ten! Thank you so much...I will definitely be in touch again!" "I LOVED everything! I could not believe how quickly everything arrived and how perfect everything looked. You are astounding! Thank you!" "Thanks again for the strong customer service you provided on my small and time sensitive order. I know a lot of places would not have been so accommodating. The medals I ordered for my Varsity Wrestling awards are fantastic. The packaging showed a personal understanding of my needs as well. I will definitely be in touch for our awards needs in the future. " Want to find out about how long it will take for your purchase to go there! We are committed to providing our customers with the most accurate product pricing. However, the new tariffs on Chinese imports may have an impact on product pricing and increases can occur at any time. Please refer to our website or contact customer service for the latest product pricing.